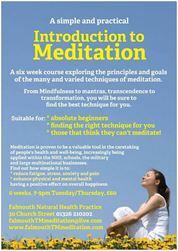 Written by Falmouth Natural Health on 03 April 2016 . Written by Falmouth Natural Health on 10 January 2016 . Welcome to our new Blog, please check in to see interesting posts, insights and articles. Starting off with an interesting in depth article on how CranioSacral Therapy can help alleviate ear infections. Alleviating Ear Infections Through Craniosacral Therapy Written and Illustrated by Tad Wanveer, L.M.B.T., C.S.T.-D.
MASSAGE Magazine ... Craniosacral therapy can help children overcome ear infections by improving Eustachian tube (ET) shape. Chronic ear infections may be related to speech, language and learning disabilities, plus over time they can excessively strain the immune system. Click on the link for more information.